The IFMA FM Learning System™ is a premier quality review course designed to meet the needs of professionals and organizations. It is developed based on input and guidance from a wide spectrum of facility management subject-matter experts and leaders. This coursewill provide you with the tools necessary to learn the updated FM body of knowledge as well as help you prepare for the CFM Exam with emphasis on the competencies of Real Estate, Finance and Business, and Environmental Stewardship and Sustainability. The IFMA FM Learning System (FMLS) is a preferred source for CFM Exam preparation. In addition to preparing professionals for the CFM Exam, the Learning System is an excellent professional development tool and an indispensable on-the-job resource. The IFMA Facility Management Learning System™ is a certification preparation program and is not a substitute for the CFM certification examination. Completing this program does not entitle the users to present themselves as CFMs, or to use the CFM designation. The only way to earn the Certified Facility Manager certification is to apply for and pass the CFM Exam. 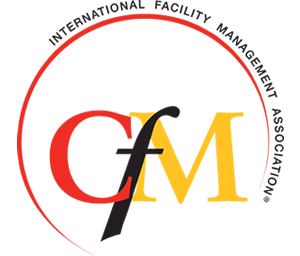 If you wish to take the CFM Exam, you must submit an application form and separate exam fee through IFMA. CFM Review: The Certified Facility Manager® (CFM) credential sets the industry standard for ensuring the knowledge and competence of practicing facility managers as the most respected global credential in facility management. The CFM Exam is competency-based, testing what a person can do compared to standards that define the practice of facility management. In addition, the CFM is the only global facility management certification available. IFMA’s certification process is designed to assess competency in the field through work experience, education and the ability to pass a comprehensive exam that covers 11 competencies that make up the facility management body of knowledge. This course will discuss the intricacies of taking the exam and is not to be considered a review of exam material.